You’re launching your first app, or maybe it’s been a while since the last time. Submitting an app to the App Store isn’t as simple as pushing a launch button, but it’s not as complicated as it may seem either. This step-by-step post assumes that you are already enrolled in the Apple Developer Program, your app follows Apple’s App Review and Human Interface Guidelines, and you’re ready to ship. It’s an update of Gustavo Ambrozio and Tony Dahbura’s awesome guide, with info from the latest version of Xcode that streamlines some of the steps and further context from Apple’s own documentation. Here’s what to do in order to distribute your app for beta testing or to go live in the App Store (tl;dr). The development provisioning profile and development certificate that you’ve been using are only for specific devices. In order to distribute your app to beta testers or to users through the App Store, you’ll need a separate distribution provisioning profile and distribution certificate. The easiest way to do this is through Xcode. 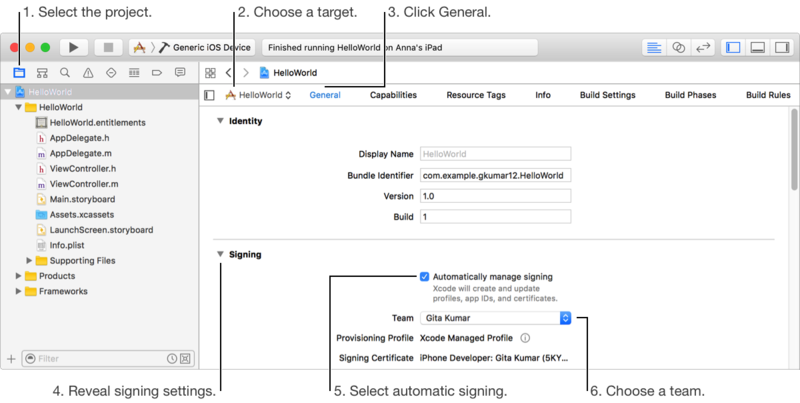 If automatic signing is enabled, Xcode will create and manage certificates, signing identities, and handle device registration for you. If automatic signing is already enabled or if you don’t need help with signing, you can skip to step two. First, add your Developer Program account to Xcode if you haven’t already. From the top menu, select “Xcode”, then choose “Preferences”. Click on “Accounts”. In the bottom left corner of the window, press the “+” sign, then “Add Apple ID…”. Enter the Apple ID and password you use for the Apple Developer Program, then click “Sign In”. Next, enable automatic signing. From the Project Editor, choose a target and select “General”. Scroll down to the “Signing” section and click on the triangle icon to expand the settings. Click on the box to “Automatically manage signing”. Select your team. When you connect a new device to your Mac, Xcode will automatically detect and register it to your team provisioning profile. Note that in order to launch your app on a device, the device needs to be registered on your team provisioning profile. Or being invited by an existing organization as a user with an Admin, Technical, or App Manager role. Read more details about iTunes Connect user accounts here. If you’re submitting a paid app, you’ll need to sign a contract that covers terms of payment. If your app is free, you can skip ahead. 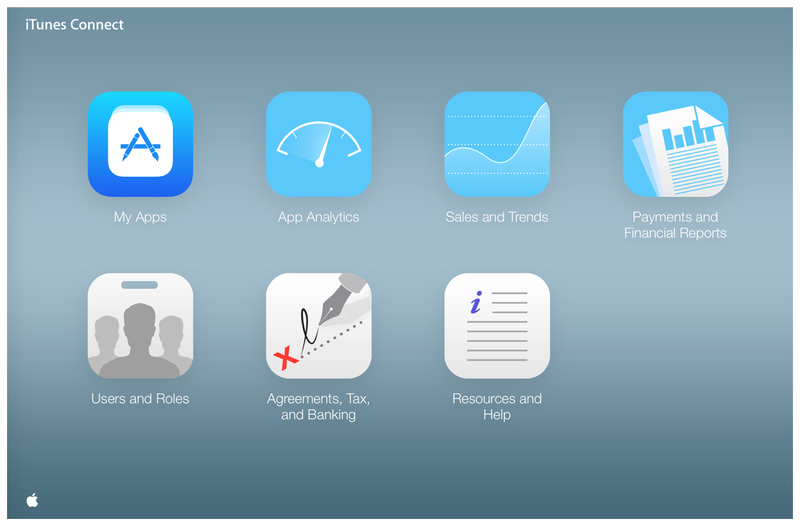 Click on “Agreements, Tax, and Banking” on the iTunes Connect dashboard. Click on “Request” under “Request Contracts”. Review the agreement that appears, check the box to agree to the terms, and click on “Submit”. Under “Contracts In Process” click “Set Up” in the “Contact Info” column. In the window that appears, click on “Add New Contact” and enter your information. Back under “Contracts In Process” in the “Bank Info” column, click “Set Up” then “Add Bank Account” and follow the directions to save your account info. In the “Tax Info” column, click “Set Up”. A U.S. Tax Form is mandatory, so click “Set Up” and fill out the required information. Set up any other country tax forms necessary. After you’ve completed the above, the contract’s status will now say “Processing”. After Apple has verified the info you provided, which will take about an hour, the contract will now appear under “Contracts In Effect”. In the iTunes Connect dashboard, select “My Apps“. Click on the “+” sign in the upper left-hand corner, then “New App”. 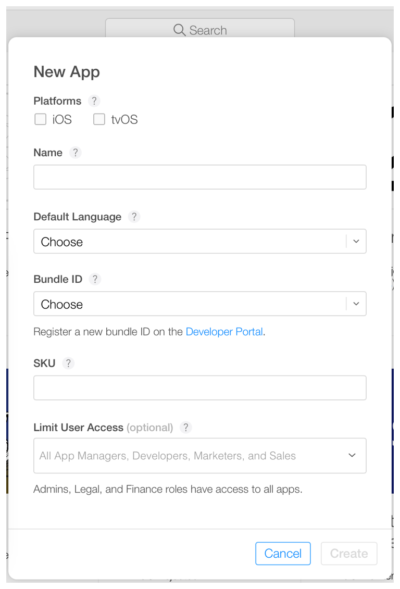 To create a new iTunes Connect record, you’ll need these details: platform, app name, default language, bundle ID, and SKU. You can’t really change these details later, so be sure of what you enter. 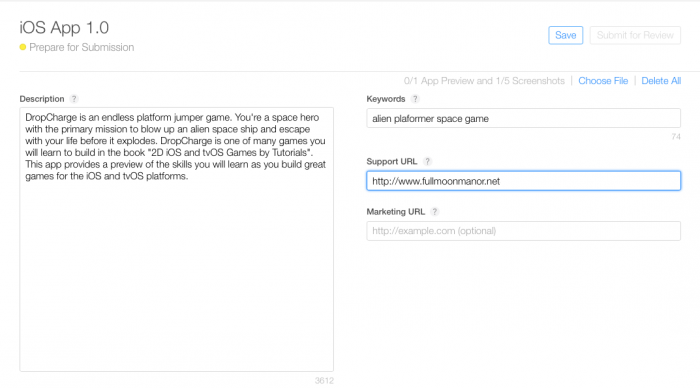 Use keywords in your app name to optimize for discovery. The bundle ID must be an exact match of the bundle identifier in your Xcode project Info.plist file (in the target’s General > Identity section). The SKU is not visible to users and is up to you to set. It can be an identifier you use in your company or something else that is meaningful for you. Acceptable characters include letters, numbers, hyphens, periods, and underscores, and it must begin with a letter or number. If applicable, you can also set user access at this step. 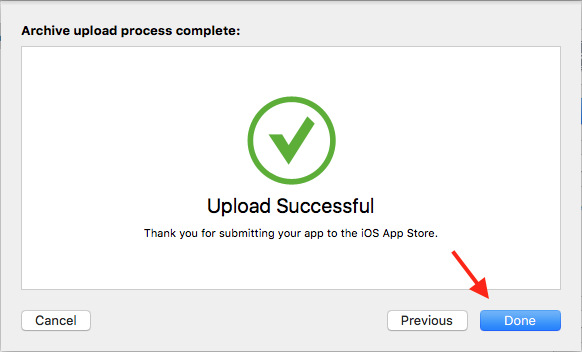 Before you can submit your app for review through iTunes Connect, you need to upload the build through Xcode. In Xcode, select “Generic iOS Device” as the deployment target. Choose “Product” from the top menu and click on “Archive”. The Xcode Organizer will launch, displaying any archives you’ve created in the past. 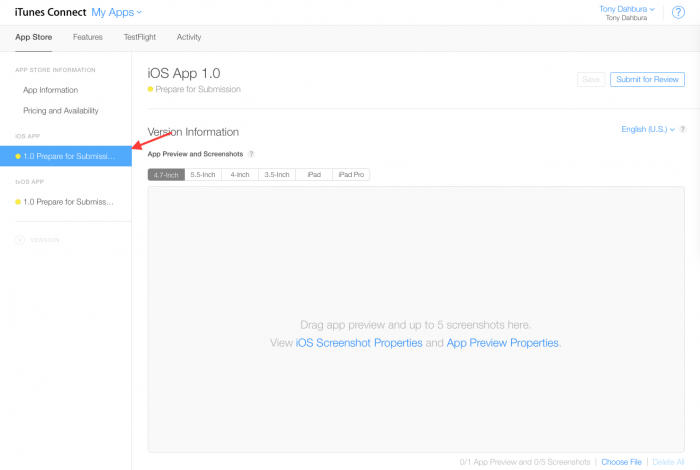 Make sure the current build is selected and click on “Upload to App Store” in the right-hand panel. Select your credentials and click “Choose”. In the next window that appears, click on “Upload” in the bottom right-hand corner. An “Upload Successful” message will appear when the upload has completed. Click “Done”. 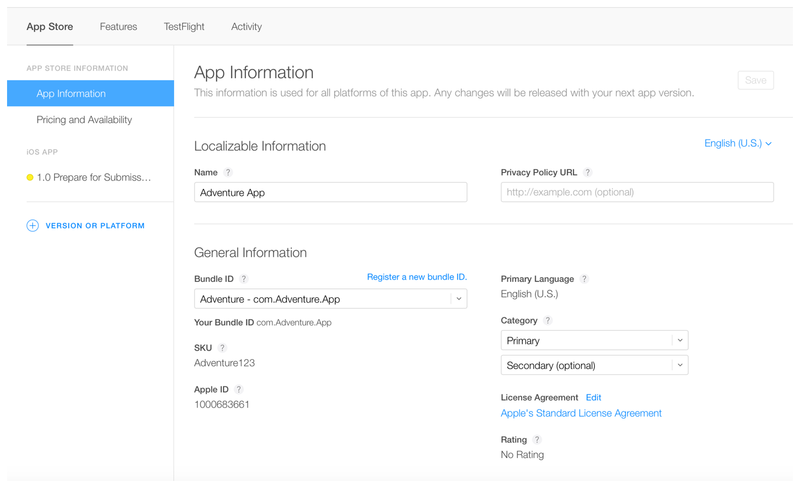 Set your app as free or select its price tier on the “Pricing and Availability” page. 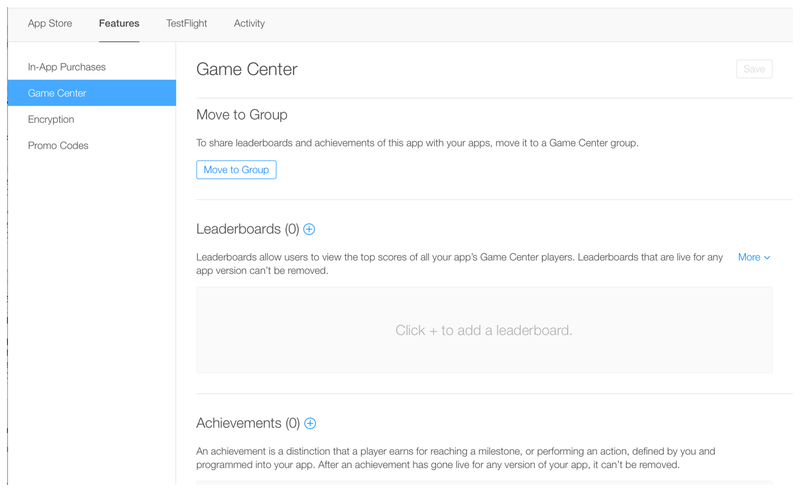 Under the “Features” tab, you can add configurations to any App Store technologies in your app, like Game Center and in-app purchases. 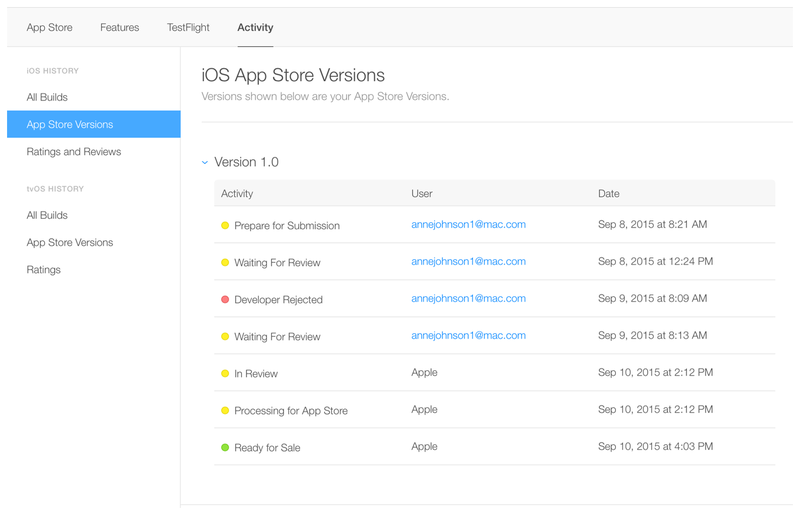 At this stage, your app is marked with a yellow dot and the status “Prepare for Submission” in the left-hand panel under “App Store”. Select the build you want to configure. This is where you will add the information for your product page on the App Store. Upload your app’s screenshots (in JPEG or PNG format and without status bars). You can upload a set of screenshots for one device and use them for all the other sizes. Click on “Save” in the upper right-hand corner of the window after your screenshots have finished uploading. Scroll down and enter your app’s description, keywords, support URL, and marketing URL. Your app’s description and keywords are critical. Make sure you optimize them for discovery. The support URL can be as simple as a landing page with a contact form. The marketing URL can be your app’s website and is optional. In the “General App Information” section below, upload your app’s icon, enter its version number, and copyright and contact information. Your app’s icon should be 1024px x 1024px. The version number should exactly match the one in Xcode. The contact info here is what will be displayed to users. Click on “Edit” next to “Rating” and select the applicable options for your app. Be honest — your app can be rejected during review if it doesn’t match its rating. Under the “App Review Information” section, enter your contact info, any notes you have for the reviewer, and set the version release date. The contact information here is for the reviewer in case they need to reach you directly. Notes for the reviewer can include information about specific hardware they might need to use or user account information they might need for access. For first releases, you should typically leave the version release date as automatic. In the top right-hand corner, click “Save”. Now you’re almost ready to “Submit for Review”. Scroll to the “Build” section in your app’s iTunes Connect record. Choose the build that you uploaded through Xcode. Click “Done” in the bottom right-hand corner, then “Save” in the top-right hand corner, then “Submit for Review”. Finally, answer the Export Compliance, Content Rights, and Advertising Identifier questions and click “Submit”. Your app’s status is now “Waiting For Review”. ? In iTunes Connect, select “Activity” in the top horizontal menu, then “App Store Versions” in the left-hand panel. How long does it take to get App Store approval? 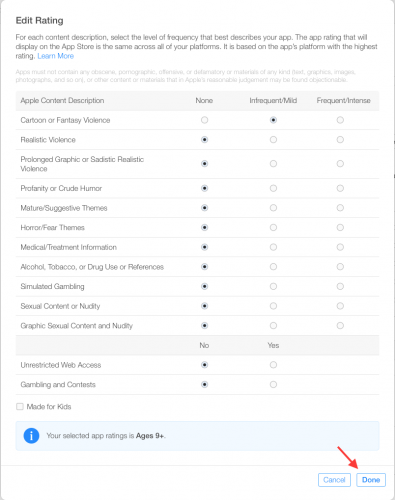 In most cases, it takes about one to three days to receive approval, and it can take up to 24 hours for your app to appear in the App Store after approval. 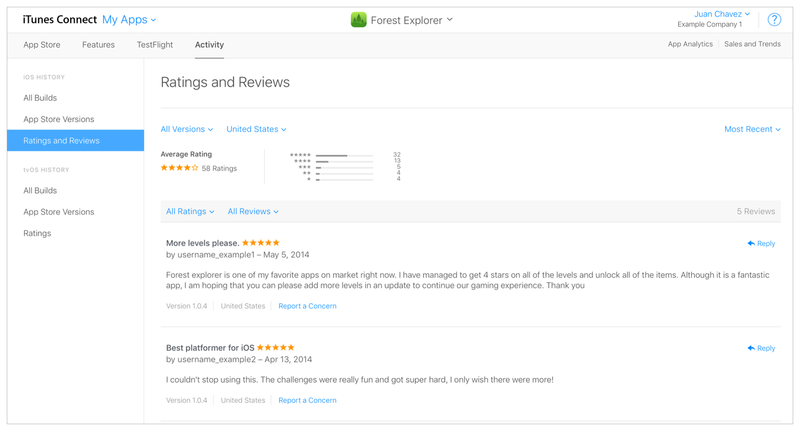 Check current average app store review times here. You’ll receive e-mail notifications at each stage. Read more about each status here. If you’re on a tight timeline and need to align your release with a specific event or if you need to release a new version with an urgent bug fix, you can request an expedited review. You’ll have to make the necessary fixes before you can submit your app again for review. Use the Resolution Center in iTunes Connect to communicate with Apple about any questions you may have. You can also escalate the issue and submit an appeal if you believe your app was wrongly rejected. One of the most common reasons for rejections from the Apple App Store is performance. Make sure that your app is complete and that you’ve tested it thoroughly and fixed all bugs. Using a bug reporting tool while beta testing will help reduce your app’s chances of being rejected due to performance issues. Congratulations! You’re now on the App Store. You can view downloads, sales, ratings, and reviews directly in iTunes Connect. Learn how Instabug can help you build better versions of your app, eliminate negative reviews, and drive five-star ratings.